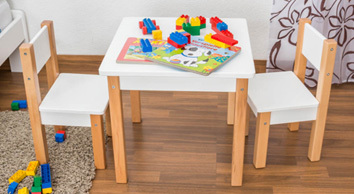 In our category "children" you will find many items for kids. 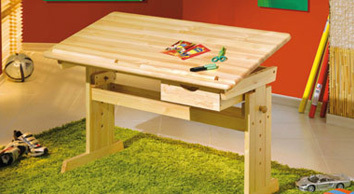 In our shop we offer you beds made of wood for children and youths. 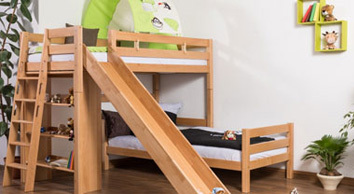 You can find high sleepers, children beds, bunk beds but also cabin beds for the little ones. 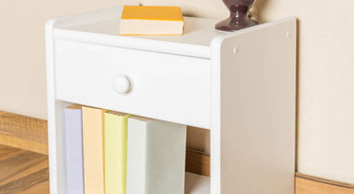 Click trough the sub-categories to find accessories for your new bed, or to re-furnish your room, like various mattresses, dressers, bedside tables, desks, shelves, wardrobes and much more. 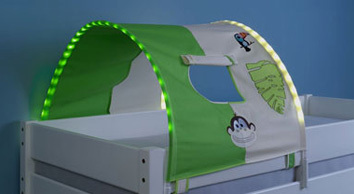 If you are looking for a specific item for your kids, then you are rigth in our category "children". 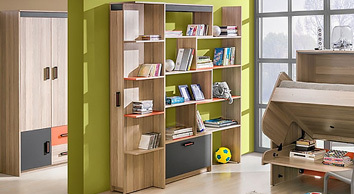 We present you a wide range of high qualtiy wood furiture and fixtures espacially in the field of childrens beds. The items in our category "children" is divided into different areas. On the other hand, there are various filter options for beds to simplify your search. You can choose the dimensions; of 90x190, from 90x200 to 180x200, but also look after the style or color like natural painted or white up to pink, aswell you can look for the type of the bed you want, like storage beds, youth beds with a desk. 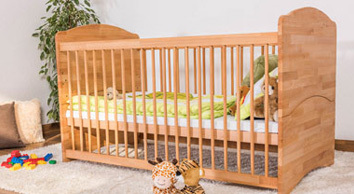 If you are looking for a classic and functional bed or want to furnish a youth room, click through the wide range of modern beds in our shop. The youth beds of the series 'Easy Sleep' are designed to meet the style and needs of teens. 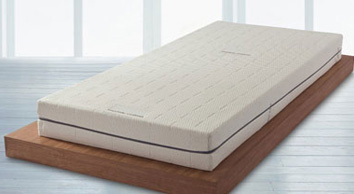 Each sort of bed of this series, is available in a wide variety of details, forms, styles and persuade you by a special price-performance ratio. You will hardly find better quality for the same price. These children and youth beds are made of solid beech, built strongly with a lot of quality while processing. Furthermore there are many versions with a 2nd place to sleep (e.g. 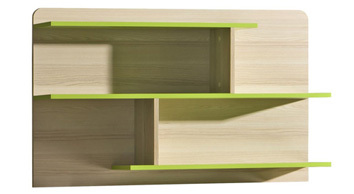 as a guest bed) or to use as a drawer to bed models with 2 drawers and bed boxes as storage beds.